After a jury convicted Jeremy Jones Davis of “aggravated burglary and theft”, he appealed, “alleging the evidence was insufficient as a matter of law.” State v. Davis, 2014 WL 3928597 (Court of Criminal Appeals of Tennessee 2014). After he was convicted, the trial judge sentenced Davis to “six years for the C felony of aggravated burglary, and four years for the D felony theft conviction, to run consecutive for an effective sentence of ten years.” State v. Davis, supra. Marty Dean testified that he and his wife left home about 2:30 in the afternoon to attend the wake of their thirty-five year old daughter who had died of cancer. They returned home about 10:00 pm with relatives to discover their house had been broken into, and numerous items stolen. He discovered all his guns and knives had been stolen. Included was a family heirloom shotgun that had been in his family for a hundred years or more, and other shotguns, rifles and pistols. His knife collection included several pocket knives that had been given to him for Father's Day and birthdays by his children. All his wife's jewelry had been stolen; and the laptop computer and iPad were missing. iPad and laptop were recovered; as were three knives and a small amount of jewelry. [Dean] estimated the value of his lost property to be in excess of twenty-five thousand dollars. house had been entered by prying a door open. The wake was public knowledge and there were many people there, including all of his family. [Dean] testified he did not know [Davis], and did not give him permission to enter his house. Brenda Dean testified that when they returned from the wake she discovered all her jewelry had been stolen. She detailed the jewelry, to include four diamond rings, diamond earrings, other rings, pearls, necklaces, gold items, and some costume jewelry. Some of the jewelry had been her mother's. She estimated the value of the missing jewelry to be in excess of twenty thousand dollars. Timothy Pringle testified that he knew the Deans and attended the wake. A couple of days later [Davis] came to his house and requested if he could help take some information off an iPad and put it to `factory reset.’ [Davis] offered a laptop to him if he would reset the iPad. When he turned the iPad on to begin the reset, he saw a photo of Heather Dean, whose wake he had attended. He questioned [Davis], who told him he participated in the aggravated burglary of a house that was supposed to be an `easy score,’ during a wake. [Davis] was to be the look-out while two others went into the house to get guns and jewelry. [Davis] stated he went in the house and got what he could for himself, to include the iPad and laptop. After [Davis] left his house, Mr. Pringle called Mitchell Dean, brother of deceased Heather Dean. Mitchell came to his house, and Pringle showed him the laptop and told him what he had been told by [Davis]. Mr. Pringle had activated the security feature on the iPad so it could be tracked to its location. Mr. Pringle reported to the police what he knew and that he was trying to get the iPad back on his own. Clyde Ragsdale testified that he works for the Lewisburg City Police Department. His department was investigating the aggravated burglary of the Dean residence. He was with other officers who executed a search warrant on [Davis’] residence. He patted [Davis] down and found a knife in one of his pockets, which was later identified as a knife stolen from the Dean residence. James Johnson testified he is a detective with the Lewisburg Police Department and executed a search warrant on [Davis] at his residence. He found an iPad with the same serial number as reported stolen from the Dean residence. State v. Davis, supra. The opinion also notes that Davis “did not submit any proof to the jury.” State v. Davis, supra. appellate review when a criminal defendant challenges the sufficiency of the evidence is `whether, considering the evidence in a light most favorable to the prosecution, any rational trier of fact could have found the essential elements of the crime beyond a reasonable doubt.’ State v. Reid, 91 S.W.3d 247 (Tennessee Supreme Court 2002); see also Tennessee Rules of Appellate Procedure13(e) (`Findings of guilt in criminal actions . . . shall be set aside if the evidence is insufficient to support the findings by the trier of fact of guilt beyond a reasonable doubt.’). The trier of fact, not this court, resolves questions concerning the credibility of witnesses, the weight and value to be given the evidence as well as all factual issues raised by the evidence. State v. Elkins, 102 S.W.3d 578 (Tennessee Supreme Court 2003). This court may not re-weigh the evidence nor substitute its inferences for those drawn by the jury. State v. Evans, 108 S.W.3d 231 (Tennessee Supreme Court 2003). On appeal, the State is entitled to the strongest legitimate view of the evidence and all reasonable inferences which may be drawn therefrom. State v. Dorantes, 331 S.W.3d 370 (Tennessee Supreme Court 2011). A verdict of guilty removes the presumption of innocence and replaces it with a presumption of guilt, placing the burden on the accused to demonstrate why the evidence is insufficient to support the verdict returned by the trier of fact. State v. Tuggle, 639 S.W.2d 913 (Tennessee Supreme Court 1982). [a]ggravated burglary is a burglary of `a habitation.’ Tennessee Code Annotated § 39–14–403(a). In order to sustain a conviction for aggravated burglary, the State need only prove that a defendant entered a habitation `with intent to commit a felony, theft.’ Tennessee Code Annotated § 39–14–403. A person commits a `theft’ when, with intent to deprive the owner of property, the person knowingly obtains or exercises control over the property without the owner's effective consent, Tennessee Code Annotated § 39–14–103(a). . . . The facts in this case show that [Davis] admitted he entered the victim's home to get what he could for himself, to include an iPad and a laptop. He was found in possession of the victim's stolen iPad, and a stolen knife that belonged to the victim. There was ample proof from which the jury could find that [Davis] intended to deprive the owner of the property. He traded the victim's stolen laptop for computer services of cleaning the iPad of the victim's information. He kept the iPad for his personal use, and had a stolen knife that belonged to the victim in his pocket. The court finds that considering the evidence in a light most favorable to the prosecution, any rational trier of fact could have found the essential elements of the crime of aggravated burglary and theft beyond a reasonable doubt. the sentencing act `served to increase the discretionary authority of trial courts in sentencing.’ State v. Bise, 380 S.W.3d 682, 708 (Tennessee Supreme Court 2012). In light of this broader discretion, `sentences should be upheld so long as the statutory purposes and principles, along with any applicable enhancement and mitigating factors, have been properly addressed.’ State v. Bise, supra. Therefore, this court reviews a trial court's sentencing determinations under `an abuse of discretion standard of review, granting a presumption of reasonableness to within-range sentencing decisions that reflect a proper application of the purposes and principles of our Sentencing Act.’ State v. Bise, supra. (1) The evidence, if any, received at the trial and the sentencing hearing; (2) The presentence report; (3) The principles of sentencing and arguments as to sentencing alternatives; (4) The nature and characteristics of the criminal conduct involved;(5) Evidence and information offered by the parties on the mitigating and enhancement factors set out in §§ 40–35–113 and 40–35–114; (6) Any statistical information provided by the administrative office of the courts as to sentencing practices for similar offenses in Tennessee; and (7) Any statement the defendant wishes to make in the defendant's own behalf about sentencing. Tennessee Code Annotated § 40–35–210(b). trial court fully considered the factors in Tennessee Code Annotated section 40–35–210. The trial court considered the evidence and the nature of the conduct involved and discussed the tragedy of a daughter's wake while the victim's house was being burglarized; he referred to the pre-sentence report and discussed the prior record of [Davis]; he discussed the enhancing factors found; he noted no evidence or information was offered on mitigating factors; and the defendant did not make a statement in his own behalf. [Davis] has failed to show an abuse of discretion with regard to the sentence imposed for the crimes. Finally, the Court of Criminal Appeals pointed out that the trial judge “determined that” Davis “has an extensive criminal record” and went on to explain that Tennessee Criminal Code Annotated § 40-35-225 allows for consecutive sentencing if the judge finds by a preponderance of the evidence that the “defendant is an offender whose record of criminal activity is extensive”. State v. Davis, supra. had a prior felony conviction for aggravated burglary, and seven misdemeanor convictions. He was on probation seven times in the past, and had been revoked twice. He had been tried on community corrections and was revoked. [Davis] has failed to show an abuse of discretion for consecutive sentencing. 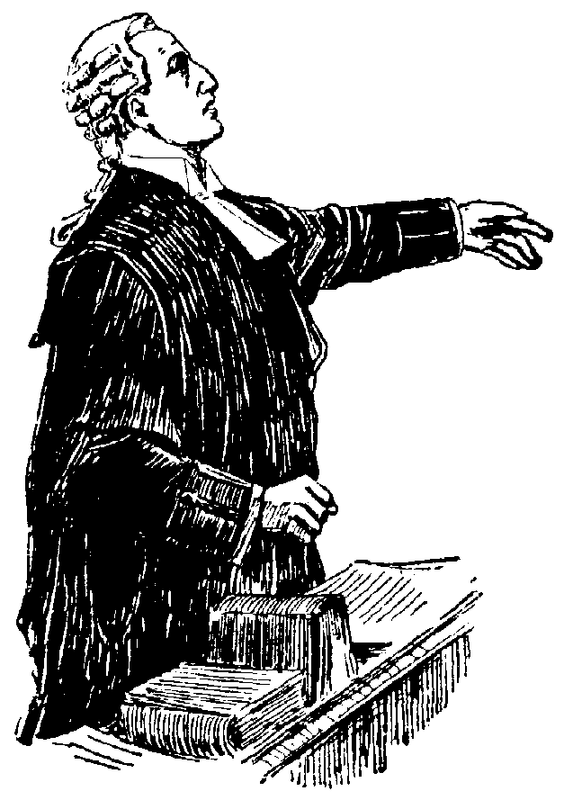 The defendant has the burden of showing the impropriety of the sentence on appeal. Tennessee Code Annotated § 40–35–401(d), Sentencing Comm'n Comments. [Davis] has not carried his burden. We find no abuse of discretion by the trial judge in the sentence imposed. State v. Davis, supra. For all these reasons, the court affirmed Davis’ convictions and sentence. State v. Davis, supra.